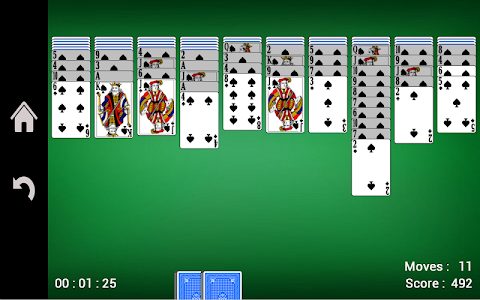 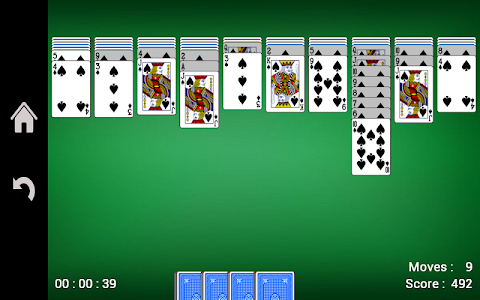 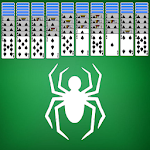 This card game is a Spider Solitaire. 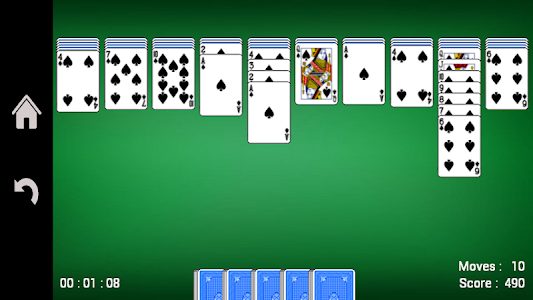 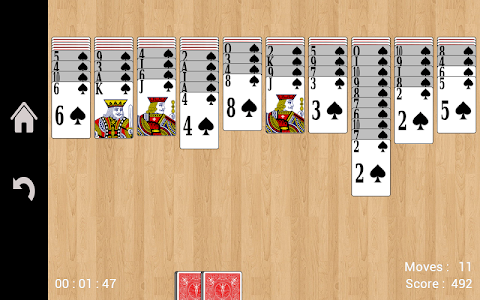 It is a popular patience game that is played with two decks of cards. 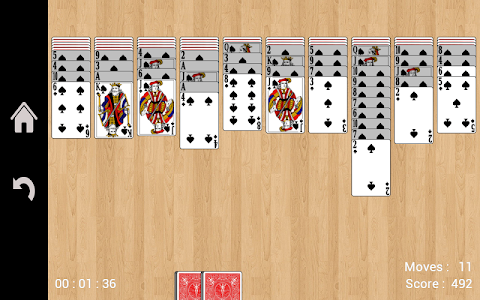 The main purpose is to remove all cards from the table. 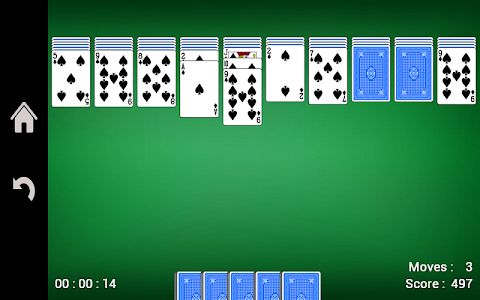 You can move a card to an empty column, or on a greater card (whatever the color). 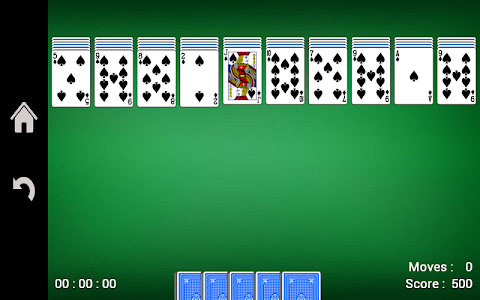 But you can only move a set of cards provided the cards have the same color and the correct order. 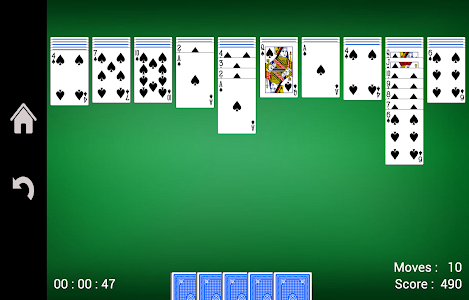 A complete suit of cards gets automatically removed. 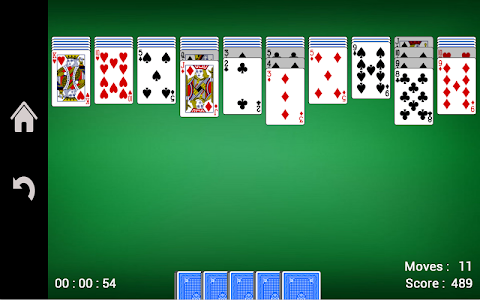 At any time, player can use the remaining stack to add cards on all columns.